If you want to save money on your office cleaning quote, the first thing you must do is find a service close to the premises you want cleaned. This seems obvious, but many people fail to realise that most cleaning companies charge for travel time and petrol. Most reputable local cleaning services close to your business can usually be found through a simple Google search. 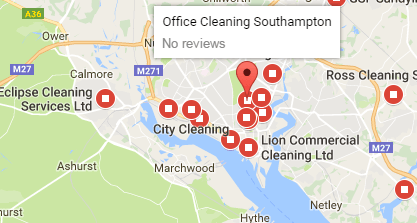 For example, if your business is in the Southampton area, searching ‘Office Cleaning Southampton’ will show a collection of the top businesses in that area placed on a map which will allow you to easily find cleaning companies near to you. Another simple way of saving money is thinking about the cleaning tasks you want performed and how long they’re likely to take. The easier, quicker and more focused you can make things for a cleaner, usually the lower cost. For example, if you are looking for a daily or weekly cleaning of your office, think reasonably how long that would take you or an average person to do. Are there any ways you can make this even more streamlined? Another helpful thing to think of is whether other small businesses in your offices might be interested in clubbing in with you. Economies of scale and all that! If you’re unsure of the amount of time a cleaning job might require, no sweat. Ascend Cleaning offer a free site consultation where we’ll come and price up your job for free there and then. In instances where a particular cleaning qualification, skillset or cleaning products are required, this of course increases the demand for cost. Additionally, the type of building can also play a major factor in pricing a quote. Most cleaning companies will pride themselves on carrying out a wide range of office, retail and commercial cleaning tasks on a regular basis for a variety of different clients. If you are unsure what the scope of your cleaning job might involve, simply for a free consultation and we’ll get you priced correctly. Most cleaners would prefer to work social hours during the day if they can. And jobs requiring service at 2am usually reflect that in the price. If you can consider cleaning between 6-8pm for example, you’re much more likely to find better cleaners at a better price than if you needed cleaning between 1-4am. 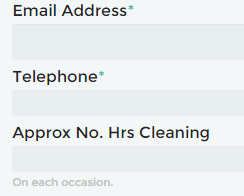 Ascend Cleaning’s quote calculator tool is fast becoming a valuable tool for businesses around Hampshire to get their instant and accurate office cleaning quotes.